If you think you write well (as I did), I strongly recommend reading this book. I have a number of helpful books on the creative and technical aspects of writing prose, but Claire Kehrwald Cook’s book is by far and away the most helpful I have read. Where other books help in curbing the tendency to overwrite, this book puts a scalpel in the writer’s hand that enables him to explore and cut deeply. You will be surprised at how much the resulting excisions and rearrangements improve your writing. I found the chapters ‘Faulty Connections’ and ‘Il-matched Partners’ the most helpful. Without doubt this book has improved my writing. It will continue to do so as I regularly return to it. I’ll make this a review ‘under reserve’ because I think I will have to read the book again to do it justice. The title says exactly what the book is about. 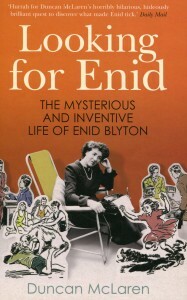 The author sets out to discover who Enid Blyton was not only by reading the critical literature and consulting Blyton experts and Blyton organisations, but by actually setting off, backpack and all, on a tour of discovery. He tracks down the houses and places where Blyton lived or stayed, from childhood to the end of her life. He also attempts to demonstrate that some of the places familiar to Blyton (holiday resorts etc) served as model for crucial scenery in some of her books. He does it rather convincingly. I found myself on google maps (I’m here in Melbourne) trying to follow him on his tour. He is accompanied most of the time by his girlfriend, Kate, who acts as a sometimes doubtful sounding board for his speculations. His journey of discovery includes much speculation (often convincingly)about how people in Blyton’s life influenced her writing. These include her father, mother, and first husband. While all this is going on he weaves the characters and stories of some of Blyton’s books into the action, so that in the end the characters are mixing with and talking to Enid Blyton herself. I thought this very daring, but for the most part he pulls it off. Bravo, Dunc. Now for my reservations. The characters and stories woven into the narrative are mostly from Blyton’s Mystery/Find-Outers series. You really have to be familiar with this series to appreciate the success of what he is doing. I have read only one from this series (The Mystery of the Strange Messages – Christmas present 1957) so I struggled a little in the beginning. But I got the hang of it eventually. (I’m almost exclusively a Famous Five fan.) I suggest those coming to this book brush up on their Mystery/Find-Outer stories. It will make it easier to follow what is being attempted. My only real criticism is the attempt at a sort of Freudian psychoanalysis of Blyton’s (sexual) motivations for parts of her stories. I didn’t realise – and it was a surprise that I never saw it – that tunnels and towers (especially tunnels) played a big role in the Famous Five series. I thought to myself while the author was developing his analysis, ‘Oh no, don’t do it, Dunc.’ But he did it – not entirely convincingly. Let me apply Ockham’s Razor and go for the more obvious explanation: tunnels are mysterious and provide tension for 12-year-olds. On the other hand, I think the author has made a sub-case for Blyton’s arrested development as a writer: she writes with the mentality of a 12-year-old. Indeed, she was never successful as a writer for the adult market. Fortunately this attempt at psychoanalysis is a small part in an otherwise interesting, engaging and eccentric biography. 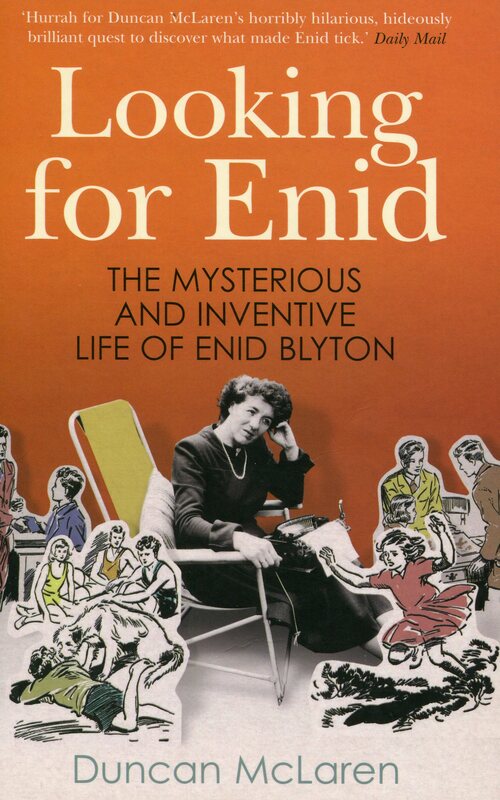 A last recommendation: I would suggest that readers read Barbara Stoney’s more traditional biography of Enid Blyton (Enid Blyton: The Biography) before reading this one. It will make it easier to follow the author’s adventure. Highly recommended. See my links page for Duncan’s terrific websites on Enid Blyton and Evelyn Waugh. Available on Amazon HERE. I had set a separate page for my reviews, but in time I realised this was not practical. It was easier and more practical to post reviews as blog. I had postponed doing anything about it because I had written only one review so far. My intention was to write regular reviews, of course, but the demands of my writing got in the way. Now that I have posted a short review of a book on writing on Amazon and Goodreads I will transfer both reviews to the blog page and keep the review page for links to reviews I find interesting. If I have anything to say about a review it will appear on the blog page.